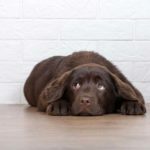 Learn to read dog body language. Then you will understand what it means when your dog pants, shakes or sniffs. Licking: Dogs lick to show love and affection, mark their territory, heal a wound and relieve stress. Pawing: Pawing is a natural and inherent way for dogs or puppies to communicate. Dogs use their paws to demand that we “focus” on them so they can tell us what they need. Tail messages: Your dog uses his tail to convey everything from happiness and confidence to fear and aggression. Canines communicate using body language and a dog tail message can convey anything from happiness and confidence to fear and aggression. 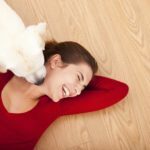 Common reasons dogs lick include showing love and affection, marking their territory, healing a wound and relieving stress. 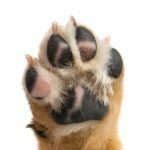 Pawing is a natural and inherent way for dogs or puppies to communicate and demand that we “focus” on them so they can tell us what they need. 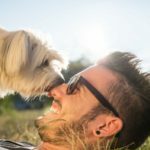 Learn to read dog body language so you’ll you know why your dog does what she does and what it means when she’s panting, shaking or sniffing. 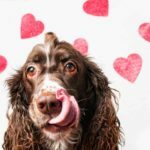 Dogs lick as a way to communicate their moods, level of submission and to show affection. Dogs also lick to groom and to keep wounds clean.